Not is using Smore newsletters to spread the word online. 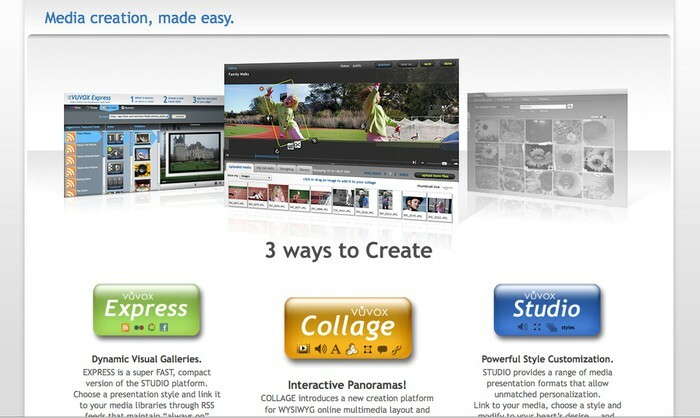 Vuvox is a site to present your pictures and make collages. It has three different options and those are express ,collage and for paid members studio. In express you upload pictures from a picture site and they are presented in ways like a tree or swirling wheel. In collage your pictures are kind of like a slide show which you have to manually move. This is what the site looks like when you first enter. Things you can do on this site. This is what the collage option looks like. VUVOX allows you to create interactive slideshows and presentations from photos, video and music from Flickr, Picasa Web Albums, YouTube, Facebook or your PC. You can share them with friends, and embed them on your Myspace page, blog or website.